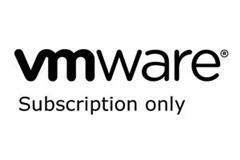 Basic Support/ Subscription for vSphere 6 Essentials Plus Kit for 3 hosts (Max 2 processors per host) for 2 Months. Technical Support, 12 Hours/ Day, per published Business Hours, Mon. thru Fri. Can only be used with an upgrade SKU. Cannot be used for renewals. Academic Basic Support/ Subscription for vSphere 6 Essentials Plus Kit for 3 hosts (Max 2 processors per host) for 2 Months. Technical Support, 12 Hours/ Day, per published Business Hours, Mon. thru Fri. Can only be used with an upgrade SKU. Cannot be used for renewals.